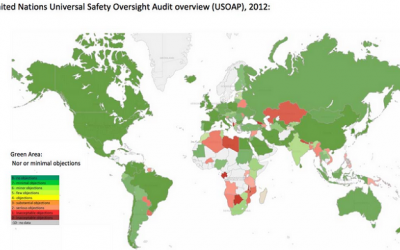 Country Safety Analysis conducted by AirlinePROFILER supported by JACDEC database systems. Globalization, harmonization and standardization are the keywords in todays commercial aviation business. In terms of operational safety matters, the times where each country does it alone are definetely gone for good. 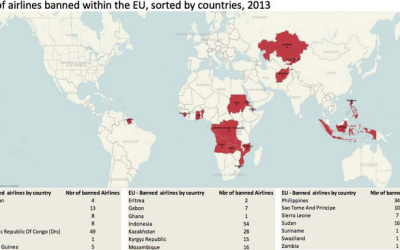 Supranational institutions like ICAO´s IOSA airline safety auditings, the universal country safety assessment USOAP or the european list of banned airlines (the so called ‚Black List‘) grew in importance over the years. Nowadays, a global safety benchmarking of countries has become possible by the growing number of available data provided by trusted and professional authorities, like EASA, FAA or the UN. Together with our partners from AirlinePROFILER.eu, we set up a few graphics to illustrate the different levels of aviation safety on a global scale. Check AirlinePROFILER.eu for the full report..